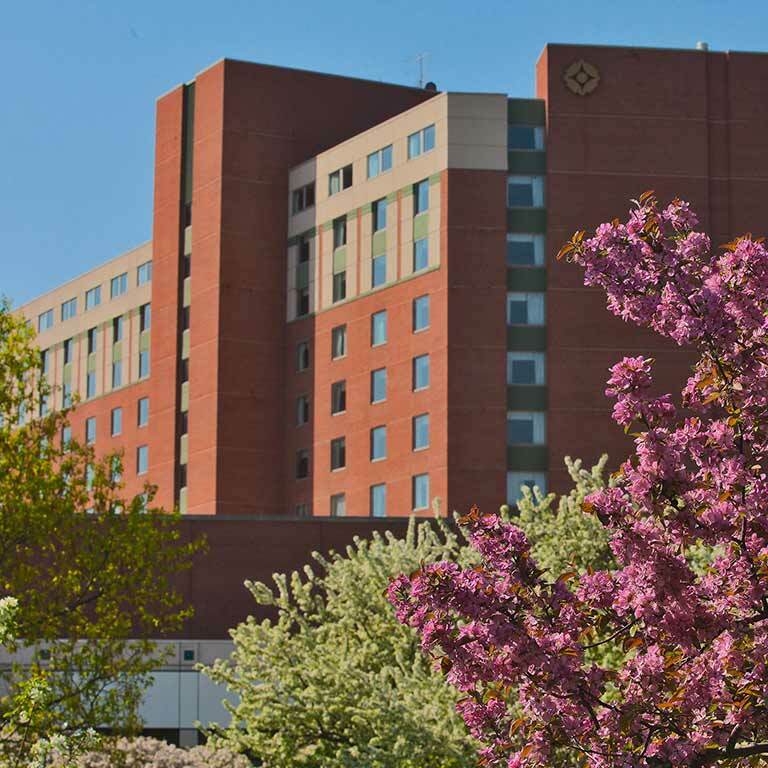 Imagine you: living on campus in one of our residence halls or apartments, and only two blocks away from your farthest class. You’re back in your room after an exciting day of learning and meetings (you gathered at the CUBE with fellow leaders of your student organization to pitch a big idea, and they loved it! ), and now you’re ready for dinner. So you see if your roommate and your friends down the hall want to go grab some food in the dining hall downstairs. Except, at IUPUI, our residence halls aren’t like the ones you’ve seen in the movies. And our dining halls don’t follow the one-option-per-meal model you might expect. Which will suit you best? 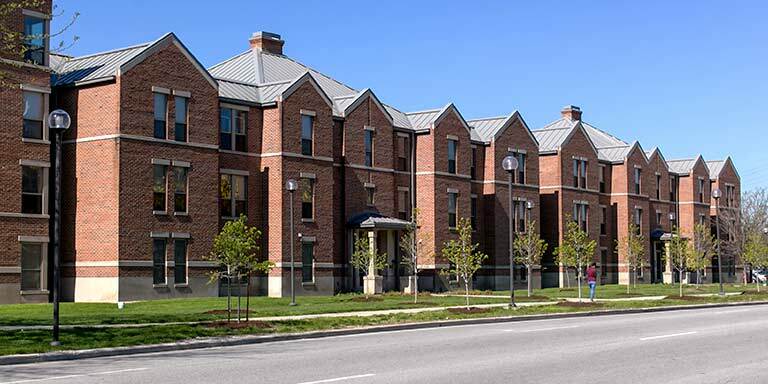 A residence hall, a townhome, or apartment? Top left: Students relax in a North Hall commons area. Bottom left: On campus living at the Riverwalk Apartments. Right: The newly refurbished University Tower. By coming to IUPUI you’ve made the decision to invest in your future. Now it’s time to choose a living environment where you will thrive. Our campus residence options were developed for students of all kinds. 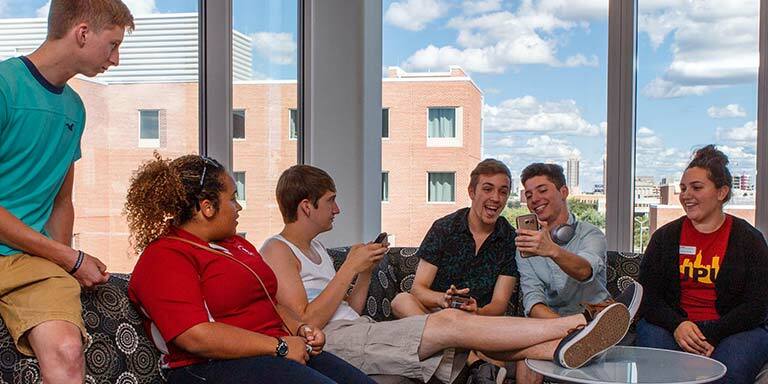 University Tower, for instance, is a four-star-hotel turned IUPUI oasis dedicated to freshman living. Our Riverwalk Apartments, on the other hand, are for students who want a taste of independence while still staying connected to the Jaguar community. Ball Hall offers a traditional take on college residence halls, while our serene Townhomes are fully furnished with in-unit washers and dryers. And North Hall, which opened in fall 2016, is a contemporary residence hall with state-of-the-art amenities. As a Jaguar, you’ll have plenty of options to stay fueled and feeling good throughout your day. 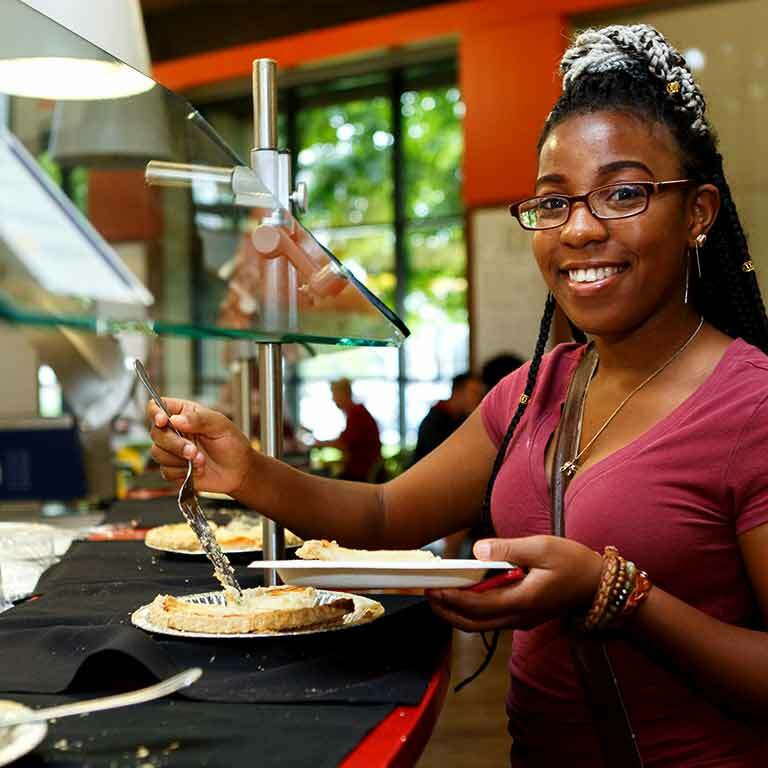 Stop by Tower Dining for an all-you-care-to-eat culinary experience. Or meet for lunch with one of your professors at the atmospheric Chancellor’s Restaurant. After you select a meal plan, you’ll use your CrimsonCard for payment at all campus dining locations—including that caffeine run to Caribou Coffee at the Campus Center between classes, or any other one of our 100+ on- and off-campus eateries. That means we’ve invested in a food waste reduction program; our eggs come from cage-free farms; our yogurt and milk are free of artificial growth hormones; we use eco-friendly packaging when possible; frying oils are recycled as bio diesel; and the list could go on.